These berries taste just as good as they look! 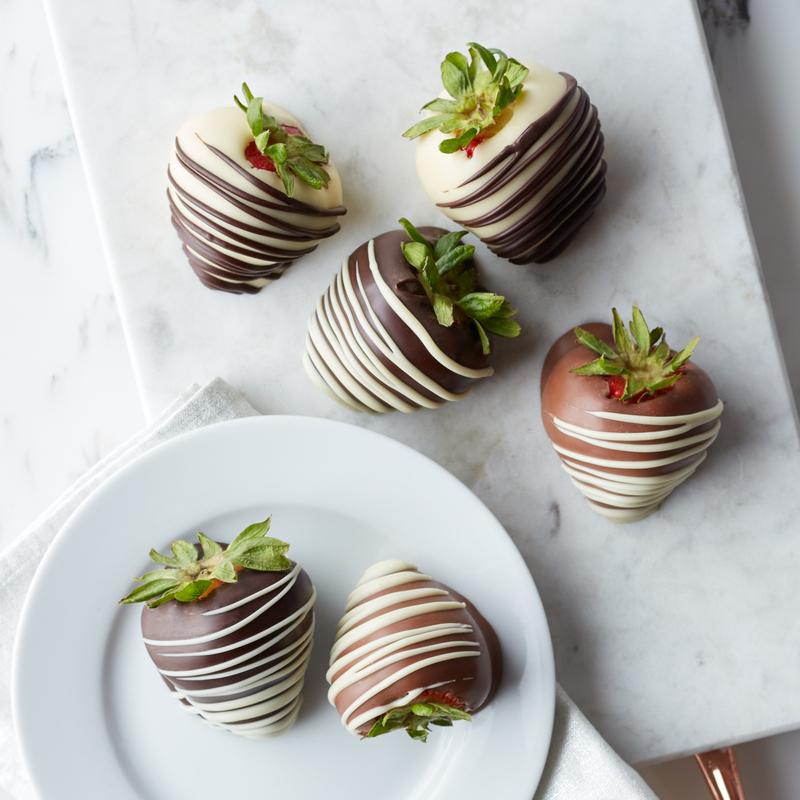 Juicy, mouthwatering strawberries are coated in luscious white, milk, and dark Belgian chocolate. They’re perfect for a "just because" gift for someone special (or even treating yourself! ).